Up and Running in Weeks, Not Months! 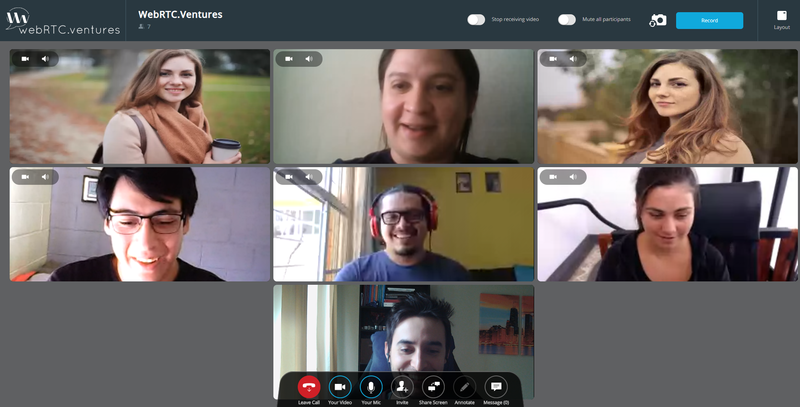 Introducing Video Meet, an already-built video conference platform! Not only is Video Meet deployed under your company’s brand and logo, it’s off-the-shelf, you can have it up and running in weeks, not months. Save Money! Save Time…and beat your competition! Unlike many other video conference platforms, users don’t need to download any applications. They just go to their secure Video Meet url and Voila! Video Meet is built on top of the trusted platform, OpenTok Demo by Tokbox. Additionally, you have the option of customizing, adding on features if necessary or, we can also build something completely new if the gap is too wide. We are globally recognized real-time communication experts. Let us help you achieve your business goals. Contact us for more information or for a free demo today!